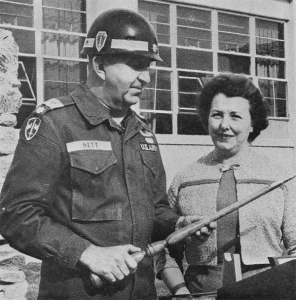 Colonel Robert B. Nett, with his wife Frances, at the presentation of a Memorial in honor of his wisdom, guidance and heroism. The Memorial was constructed and presented by members of the 51st Company OCS 1-66, Fort Benning, Georgia during late 1965. Obituary: COLUMBUS, Ga. (AP) — Col. “Robert B. Nett, who received the Medal of Honor for heroism in combat in the Philippines during World War II and later served in the Korean and Vietnam Wars, died Sunday, October 19, 2008. He was 86. His death followed a brief illness, said a spokeswoman for Fort Benning, Georgia. Colonel Nett, a New Haven native who enlisted in the Connecticut National Guard in 1940, was sent into combat on Christmas Island shortly after the attack on Pearl Harbor. He was soon sent to Fort Benning and graduated from Officer Candidate School in 1942. 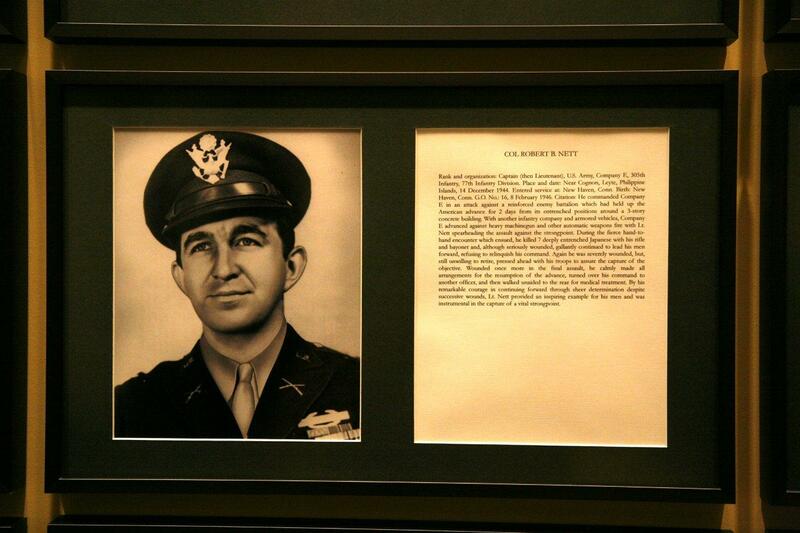 Then-Lieutenant Nett was a company commander in December 1944 when he led an assault on a Japanese stronghold. He was seriously wounded three times during the attack but killed seven enemy soldiers with his rifle and bayonet. He later rejoined his unit and fought on Okinawa. 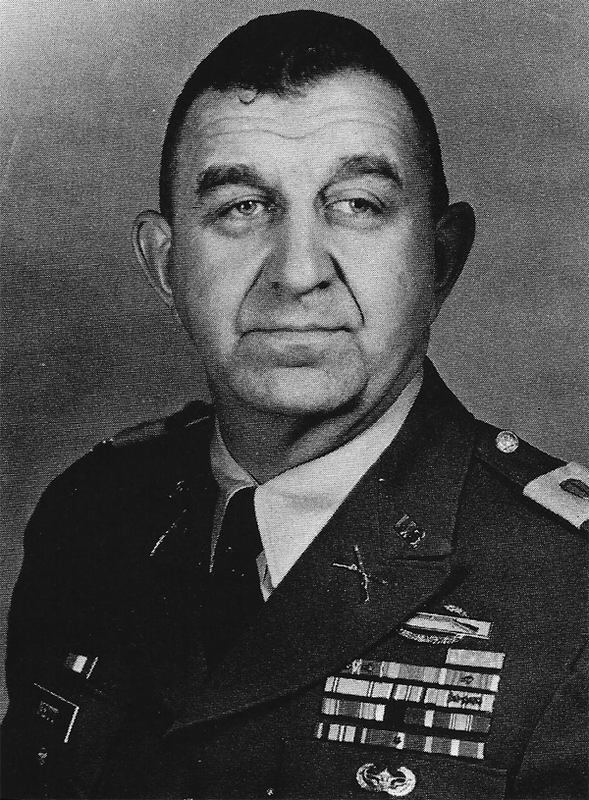 Colonel Nett helped train South Korean soldiers during the Korean War and was an adviser to Vietnamese troops during the Vietnam War. 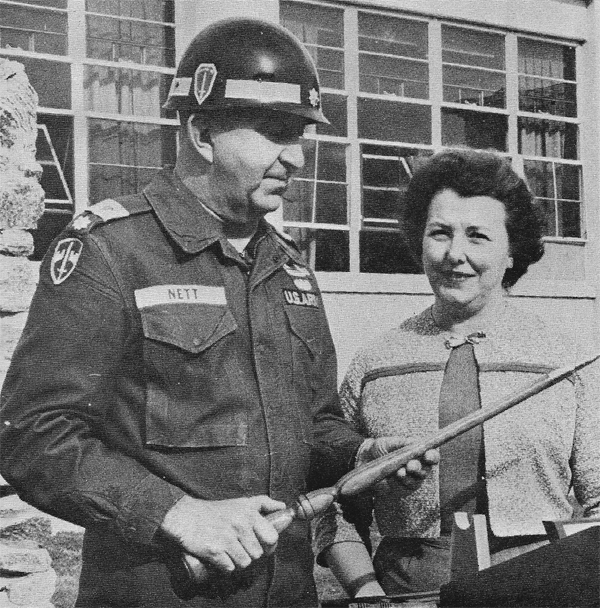 After 33 years of military service, Colonel Nett retired and spent 17 years as a teacher in the Columbus school system. He was inducted into the Connecticut Veterans Hall of Fame in 2007. The Leadership Hall built in 2004 at Camp Rell, Connecticut bears his name.